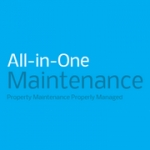 All-in-One Maintenance Midlands Ltd, offer the highest standards in the management of property maintenance. Providing all-round communication and excellent customer service. We offer a flexible property maintenance service to properties within the West Midlands, Warwickshire and Worcestershire areas. All-in-One Maintenance can manage all of your requirements for property maintenance and repairs including plumbing, building, plastering, electrical work, roofing, painting and decorating, loft conversions and many more services. 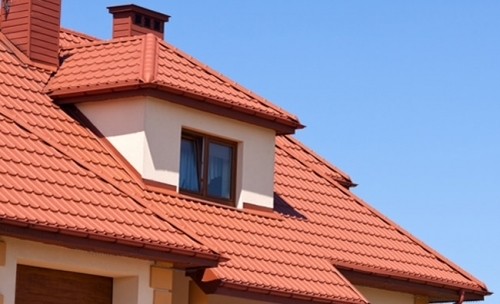 We have over 30 years' experience in property management, property maintenance and customer service, and our select team are qualified specialists in property improvements, maintenance and small building projects. All staff associated with All-in-One Maintenance (Midlands) Ltd are friendly and quality-minded, and any project or repair that is assigned to us is managed from start to finish in a professional manner. We carry full public and employee liability insurance for your peace of mind. Selling a property or ready to refurbish a property? We can manage the whole process from start to completion. Full property refurbishments through the home, regular contracts or one-off repairs, All-in-One Maintenance Midlands Ltd manages the project for you. Gathering quotes, delivering on time, to your specification and within your budget. Keeping the communications open at all times with our customers. Q. Why should I use All-in-One Maintenance? A. Because you deserve the best service possible. Q. Are you looking to have multiple jobs completed which involve calling electricians, plumbers, bricklayers and carpet fitters? A. Make one phone call to All-in-One Maintenance and have all of your projects and repairs managed professionally. After tenants have left a rental property, or you are arranging to clear a deceased estate, we can manage the clearance a full clean for you. Our cleaning contractors are fully trained and have many years of cleaning experience. Due to the plants aggressive nature, and how quickly it grows, it can sometimes take a number of years to kill off. 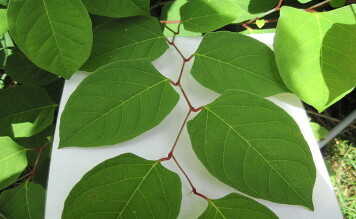 The sooner you identify Japanese Knotweed, the sooner you should consider the treatment and removal by a qualified company. If you have a plumbing emergency from a water leak, to a central heating system breakdown or even a dripping tap, please contact us. Our staff will arrange an inspection by one of our experienced engineers to diagnose and solve the problem. I had guttering fitted to my garage to save rain water for watering my garden. 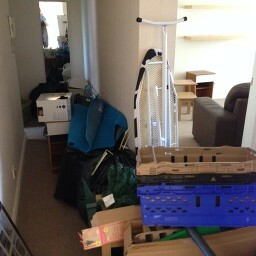 I was very pleased with the standard of work and the man was pleasant and efficient. I now have free water close to my vegetable patch. Thank you for a job well done. I will not hesitate to recommend your company to my friends.